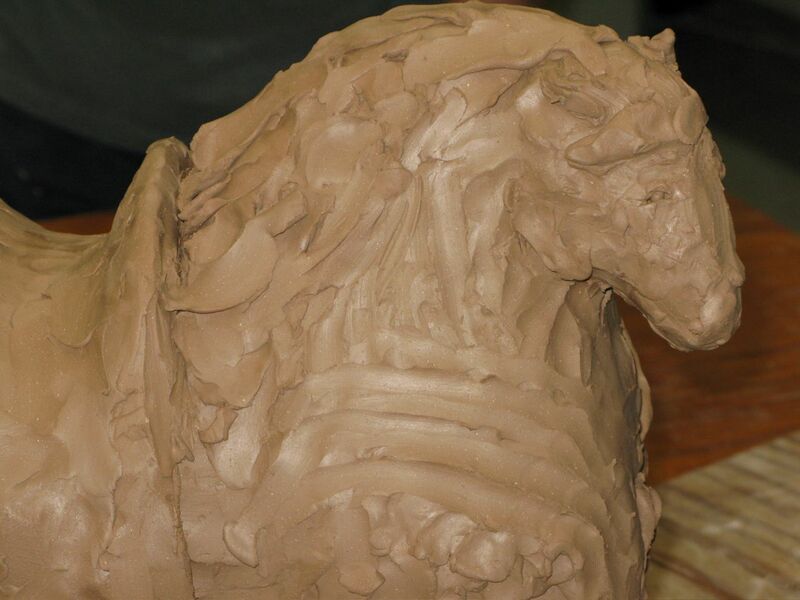 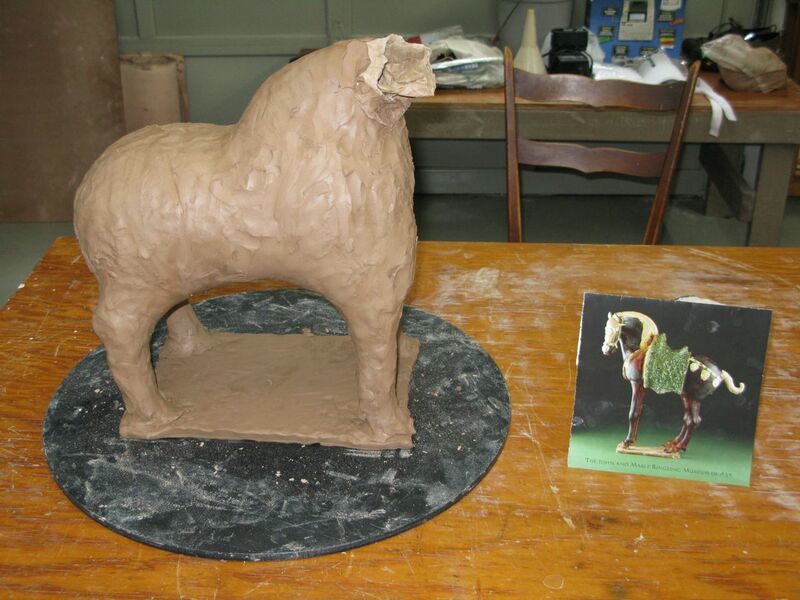 These images show, "Tang Horse", a clay sculpture in progress. 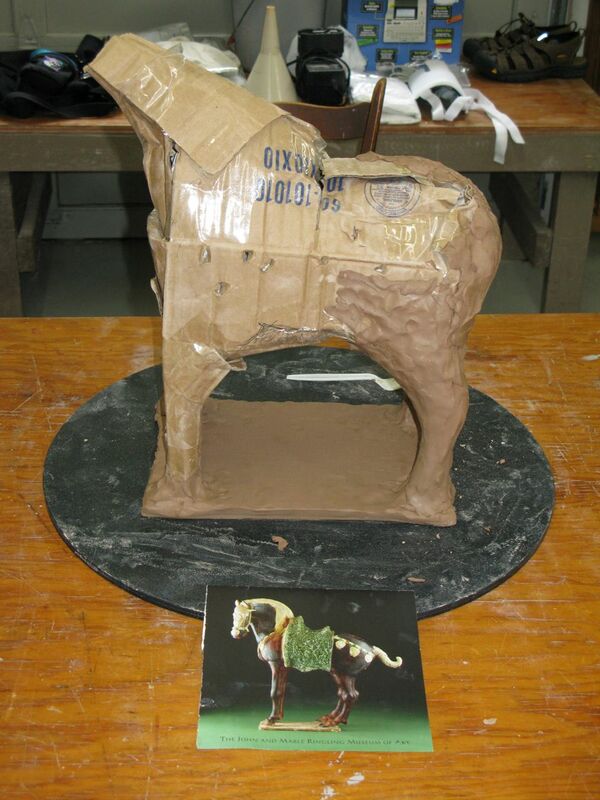 Click here to see "Whisky Box" in progress. 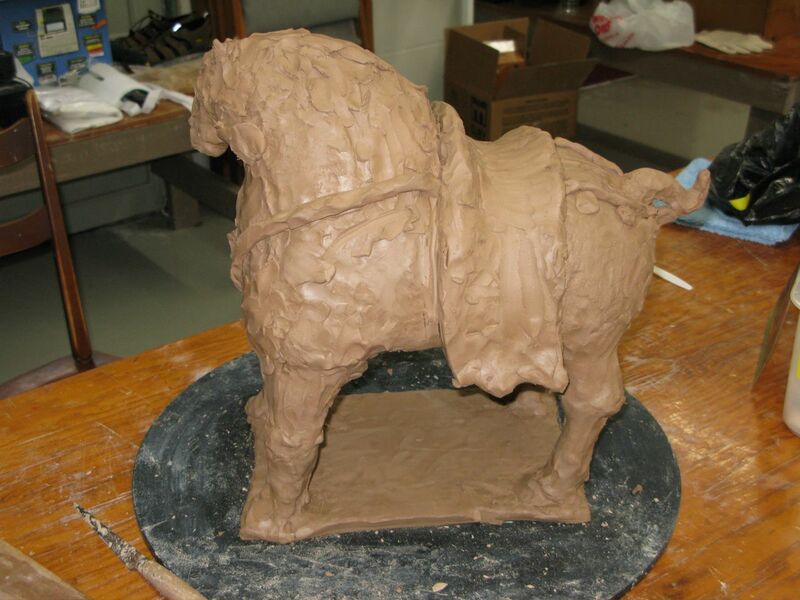 To see the artwork click "NEXT" or the thumbnail below.